Sorted by category below are the answers to frequently asked questions about our franchise and the franchising process. What are you looking for in a Great Harvest franchisee? We are looking for franchisees who share our commitment to opening strong and exciting bakery cafes. Ideal candidates will embrace our Freedom Franchise concept and will be active participants in our Sharing Community. Strong candidates should be able to meet our financial requirements, have a track record of success, and a history of community involvement. The best part: no previous baking experience required! If I send in an application, does it commit me to anything? Absolutely not! Submitting your application simply allows us to get to know you better. It gives us the chance to review your financial picture as well as your area(s) of interest. Your application is completely confidential. We will not share your information with anyone outside of Great Harvest without your permission. And, there is no application fee. If you have any questions while filling out your application, feel free to give us a call. Once we receive your application, you can expect to hear back from us within five business days. The application process can be completed in as little as 30 days, but generally takes 60-90 days. This allows you enough time to complete the telephone Q&As, review the Franchise Disclosure Document (FDD), visit with some of our existing franchise owners, and come to Dillon, Montana, for your Experience Great Harvest Day. A lot of it will depend on how quickly you want the process to move. What do you mean by Experience Great Harvest Day? Your Experience Great Harvest Day is typically the last step in the interview process, and a way for you to continue to get to know us. This is your day to come to our home base in Dillon, Montana, and meet the Great Harvest franchise team in person. You will spend time with a representative from each of our departments and learn about the different services we provide to our franchisees. The next business day, someone from the franchise office will contact you. If all systems are "go," we'll send you the franchise agreement. Can you give me an idea of how much it will cost to open a bakery? The average total cost that Great Harvest owners actually spent to open a bakery is $394,193, with a range of $202,426 (the lowest amount spent by a first-time bakery owner) to $571,295 (the highest amount spent to open a new bakery). We gathered information from the fifteen most recent first-time bakery owners to compile these costs. The startup costs include the franchise fee, location hunt, site build-out and renovation, equipment, and your initial inventory of ingredients and supplies. $35,000 is the initial franchise fee they paid. This fee covers the cost of training (excluding your travel expenses) and getting you up and running. The royalty is our license fee for the use of any and all Great Harvest systems, recipes, techniques, and other information. The monthly royalty rate you pay for a new bakery cafe is 5%. The Marketing & Technology fee is 2.5% of monthly gross sales. If you are purchasing an existing store and assuming the seller's Franchise Agreement, your fees will vary. Contact us for details. How much money do I need to have to open a Great Harvest franchise? When we review the Financial Information Section of your application, we look for at least 30% ($110,000 - $120,000) of the average total cost of opening a bakery cafe (about $394,193) to be available as liquid, unencumbered cash. In addition to the liquid unencumbered cash, you will also need to have the resources and/or ability to borrow the balance that will be needed to open the bakery. For example, if you have $250,000 of equity in your home, we will assume a bank will lend up to 80% of that amount (depending on your other liabilities, of course). The total investment ranges from $202,426 to $571,295. If you are receiving outside financial help, perhaps from family members or financial investors, please explain in your application how they will be involved and the payment plan you have in mind. In addition, you will want to take into consideration personal living expenses if you quit your job to move or complete the startup work. On opening day, you should still have at least $20,000 in cash reserves as a cushion for the first few months. Keep in mind, that budget is tight. People are often unrealistic about where the startup money, plus personal expenses, will come from. After signing a franchise agreement, we can help you develop a business plan for a bank. In some instances, we will ask you to meet with banks early in the process to evaluate whether or not you will qualify for a loan. Many Great Harvest owners before you have faced the challenge of finding the funds to start their own business - read their stories here. We do not currently offer financing, but we have established a relationship with the Small Business Association (SBA) which helps expedite and streamline the SBA loan processing. Log on to www.franchiseregistry.com for more information. This will probably be your biggest question, and we can't blame you. However, because every town and every owner is different, we'll never be able to tell you how much money YOU can make. We can only provide you with information on how our existing bakeries have done in the past. This historical information can only be provided through regulated disclosures in our Franchise Disclosure Document (FDD) which we will send you after you submit a qualified application. These disclosures include average system wide sales, comparable bread company sale changes, and a three year comparison including Net Operating Income. When can I review the Franchise Disclosure Document (FDD)? After we review your application, we'll provide a hard copy of our FDD to all qualified candidates. How close can I place my new bakery cafe to an existing Great Harvest location? Use our Bakery and Cafe Locations page to check current Great Harvest locations. If there is not a Great Harvest franchise within 15 miles, then it's most likely available. However, the new bakery cafe location also has to be viable. We use demographic criteria to determine if a town is potentially viable. Generally, we're looking for areas with at least 30,000 people. If there is a Great Harvest franchise within 15 miles, contact us to explore your options. Great Harvest now offers territory splits in many markets. There is still a reasonable expectation that we can work with the neighboring territories to fit your new bakery cafe in. If there is already a Great Harvest franchise in my area, how will I know if my area is available? If your desired area is within 15 miles of another Great Harvest franchise, please contact us with up to three intersections and their corresponding zip codes (ex: Idaho St. and Glendale St., 59725) which represent retail areas in your town. These intersections are just geographic points for us to plot on a map, and do not need to correlate with locations that are available for lease. We'll get to the location hunting process later. Great Harvest offers split territory options which yield new opportunities in areas with existing franchise locations. How will I know if my community can support a Great Harvest bakery cafe? Typically, your community should have at least 20,000 people in a 5 mile radius. Success is not necessarily driven by demographic factors. We have seen Great Harvest owners who were able to overcome some demographic challenges through their strong community ties and solid execution of Bread Business fundamentals. Do you have any existing Great Harvest locations for sale? Periodically, Great Harvest Bread Co. owners decide to sell their bakeries. Those are both sad and happy times for us here at the franchise office. Though it's sad to see a member of our family go, we love the energy and excitement new owners bring to our system and to their bakery. If you are interested in purchasing an existing Great Harvest location, you can see a list of bakeries for sale here. Thank you for not contacting any of the bakeries on the list directly regarding their sale status. You can contact us with any additional questions. Our role (as the franchisor) in a Great Harvest re-sale is to bring you through the application and approval process. This is similar to the application process for opening a new location as far as completing a series of Q&A sessions over the phone, receiving our Franchise Disclosure Document (FDD), visiting with some of our existing franchise owners, and coming to Dillon, Montana, for your Experience Great Harvest Day. What are the advantages and disadvantages of buying an existing franchise, versus starting one from scratch? Just like anything, there are pros and cons to buying an existing store instead of opening a new one. With an existing store, there is an established customer base and a track record of financial statements to help a new owner estimate future performance. The initial fee for a transfer is lower than a new bakery cafe and you assume the royalty, as well as the timeline for future royalty reductions of the existing store. You also inherit employees who are already trained. On the flip side, a new owner will need to handle employee transition issues and sometimes that can be difficult. With a new bakery cafe, you are involved in all the start-up decisions and the store is essentially yours. Your personality is reflected throughout your bakery cafe, you build your team of employees, and you are the one to introduce Great Harvest to your community. As we get further into the application process, we will encourage you to talk to some of our existing Great Harvest owners to hear their point of view. What training will I receive if I purchase an existing Great Harvest location? You will be assigned a Post-Tracker. Your tracker is like your personal coach, helping you step-by-step with all the aspects of taking over and running your new store. 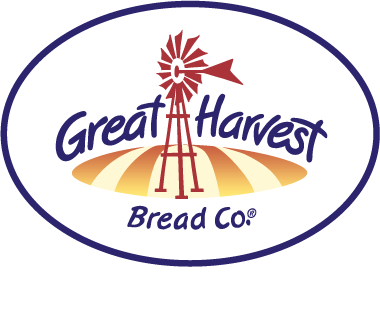 As with opening a new Great Harvest bakery cafe, each person signing the Franchise Agreement must complete the Great Harvest University online coursework. The remaining training, which is required for the main store operator, includes 15 days of hands-on production training (five days each of Made-To-Order School, Baking Fundamentals School and Bakery Cafe School) and a minimum of five days of seller training in the location being purchased. Bakery Cafe School, Baking Fundamentals School, and Made-To-Order School take place in Montana. In addition, after the transfer of ownership has taken place, we will send a trainer to spend two to five days with you at your new store. Further training and ongoing post-tracking support is also included. Great Harvest University (“GHU”) Online Coursework consists entirely of self-directed, self-paced learning activities designed to teach key concepts that you will apply and practice later during your training and education in Montana. It is up to you to decide when you complete each course and how much time you take. Estimated completion time is thirty to forty hours. These courses lay the foundation for successful participation in Bakery Cafe School and are required to be completed prior to attending any of the trainings in Montana. Made-To-Order School consists of five full days of training in Montana where you will learn the pace of production, style at the counter, general bakery systems, predictions, and promotion. At this time, you will also make observations that will be helpful during startup, especially noting differences in locations, equipment, and layout. This training is led by trainers from our franchise headquarters in Dillon and will consist of hands-on training in our test lab and in-class sessions. Baking Fundamentals School consists of five full days of production-focused training in Montana. This portion of the training is focused on proficiency in bread making and goodie making skills. By the end of the week, you should be a pro and ready to step into the baking role! Bakery Cafe School consists of hands-on training in our test lab and in-class sessions, where you will be joined by a group of other new franchisees like yourself. This portion of the training is centered on proficiency in all aspects of running a Great Harvest Bread Co., including learning the pace of production, style at the counter, general bakery systems, sandwich production, marketing, numbers and customer service. You even get to help the Dillon staff and fellow franchisees make and sell bread, sweets, sandwiches, coffee and add-on products as a fundraiser for a local non-profit organization. Finally, you will train for at least one week in the store you are purchasing. We want you and the outgoing owner to focus on many of the administrative aspects of the business. We will provide the owner with an outline of the issues we feel are pertinent for you to know in operating that store location. During your first month as the new owner of your bakery cafe, we will send a trainer from our headquarters to help you with the transition from the seller. You and the trainer will determine the areas you would like to focus on while they visit your store. Our training goal is to help you implement all the fundamentals necessary to operate a successful bakery cafe business. What assistance will I receive in getting my new bakery cafe open? After you have signed your franchise agreement, you will be assigned a Training and Development Specialist from our Startup Department. Your Specialist is like your personal coach, helping you step-by-step with all the aspects of opening your own bakery cafe. You will also work with one of our Site Selection experts to assist you in finding a good location. After you have completed the preliminary research we ask you to do, your location hunter will come to your community and will evaluate the locations you have selected. He will provide you with feedback on the pros and cons of each location and prepare a financial analysis. Please refer to Opening Your Bakery with Franchise Support for more details. What does my menu include when I open my doors? You want to impress your new customers on day one and let them know you are a place for breakfast, lunch and dinner, as well as delicious baked products to take home. Typical opening menus include six varieties of bread each day on a rotating schedule, muffins, scones, cookies, fruit bars, biscuits and batter breads, plus made to order items – sandwiches (including our amazing breakfast sandwiches) and a seasonal salad. A full coffee/espresso option is also available to you at opening. Does Great Harvest offer health insurance to your franchisees? Unfortunately, no. We continue to research different policies that will allow us to benefit from a group rate. Because our bakery cafes are franchised units instead of company owned stores, we don't qualify for a typical group plan. However, there are some options for small business owners. Please ask us for more information. Why don't you recommend that all Great Harvest owners use organic wheat? Although some Great Harvest locations do offer a limited organic product lineup, we are not a franchise of organic bakeries — we think what we do is better! We are fortunate to have a very close relationship with each of our farmers. That relationship allows us to be able to tell exactly which farmer grew the wheat in each loaf of bread — even down to knowing exactly which specific field on the farm the wheat in each loaf came from! We know our farmers personally and support their methods whole-heartedly. Our farmers typically do not use chemical treatment after the wheat kernel forms on the plant, but do apply a post-emergent herbicide and pesticide to the plant when it's in the leaf stage (less than 9 inches tall.) This is one way to ensure that our wheat gets the right nutrients and has a consistent level of quality. All of our wheat has to pass a rigorous testing process (for taste, nutrition, and chemicals) and we believe it to be the best wheat we can possibly buy. On the other hand, an organic label tells us nothing about the actual nutritional value or quality of the wheat — only about the history of the wheat field it came from. There is little evidence to support the notion that organic wheat is nutritionally superior to commercially grown wheat. Read about our commitment to real food here. You can read additional details about our products and strict quality standards on our Nutritional FAQs page. At what point can I apply to open an additional location? There are several approaches to opening multiple bakery cafes. We evaluate each owner and situation on a case by case basis depending on operational structure, financial goals and resources. An individual or partnership group coming into the system can opt to do a two or three store package at signing. Check out these pages on our site to learn more about Multi-Unit Ownership. Do most bakery cafe owners hire a manager or manage the store themselves? Think of the last time you walked into a business and the owner called you by name. Doesn't happen very often, does it? But when it does, it sure makes you feel good. It probably made you think, "Hey, I'm important here!" or "This place rocks — I should stop in here more often!" Although many of our stores do have managers who assist with the running of the day-to-day operations in some capacity, owner presence is a key to success in this business. Owners lead by example. They build a team. They set the pace. They connect with their community. And they have a good time doing it! Why do I have to come to Montana? We’re discussing entering into a business arrangement together. You probably don’t want to go into business with a stranger, and we don’t either. When you come to Montana, we have an opportunity to get to know each other and decide whether this business relationship feels like a mutual “fit.” Read more about the importance of connecting in person in this post. What is the "Hub & Spoke" model? We’ve always had owners in our franchise system that have owned and operated multiple locations, but now we have made that option even more attractive for our franchisees. Read all about our Hub & Spoke model here. Why are all the Great Harvest stores so different? Great Harvest’s Freedom Franchise was born in 1978. The beauty of the Freedom Franchise is that it allows room for each owner to make their store their own. When it comes to things like aesthetics, signage, décor, store hours, menu choices, and add-on items for sale, those are all areas where a bakery cafe owner can put their own stamp on their store. We often say, no two stores are alike, and it is in large part on account of our Freedom Franchise — but not entirely. The other reason there is such diversity in the Great Harvest franchise is the evolution of our business model, which you can read more about here. When the Great Harvest Bread Company® started, we were a bread company. Great Harvest originally had one extremely popular whole wheat bread made with five simple ingredients (today, it is our Honey Whole Wheat). From there, the product line expanded and stores started getting larger. And Great Harvest grew from a franchise of bread stores into a bakery franchise. Over the years, our menu has continued to expand with hot and cold sandwiches, soups, and salads. Our newest stores are built to accommodate seating for 40 people and have menus that span breakfast to dinner. While the franchise has evolved into a bakery cafe model, Great Harvest remains true to its bread store roots. Our stores are very “bread-centric.” Other cafes bake frozen dough and call their bread fresh. At Great Harvest, we not only bake our products fresh from scratch, but we use freshly milled flour for baked goods that put others’ claims of freshness to shame. There are some older Great Harvest locations out there that still operate under the bread company model; with smaller stores and no seating. These stores may not serve some of our newer products. But you can count on getting phenomenal tasting baked goods and great customer service at every store. Each store is a unique experience, with its own personality and flavor combinations that you won’t want to miss.